Please note that there are a large number of decent Wolf 3D sites; we couldn't hope to list them all here. direction to find those other sites also. from here anymore, you should be able to buy its sequel "Spear of Destiny". A "must visit" site! originally intended to be Wolfenstein 2), and the Duke Nukem series. Another "must visit" site! heaps of add ons/total conversions by devoted Wolf fans available for download from there. As if that isn't enough, there are links to a heap of other Wolf 3D related sites. Highly recommended. that is updated regularly. Highly recommended. Want to talk Wolfenstein? Want help from other Wolf fans on how to do things? This is the place to go! tips for the budding add on maker. A very well designed Wolf 3D site by Ryan de Haast that's easy to navigate. Home of Ryan's Wolf TC "Rising Evil", as well as much other Wolf related material. Doomworld have kind of done it the other way around, incorporating Wolf into Doom. advanced and superior to Wolf's. As such, I avoided trying to simply just "copy" Doom and based my own "Wolfendoom" on a new story altogether, whilst utilising the Doom theme and graphics. 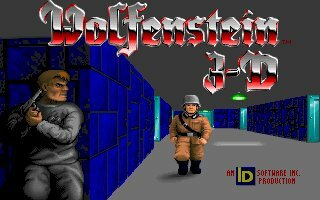 However, what would the original Wolfenstein look like using the superior Doom engine? people involved in this project have done a fantastic job - well worth checking out!